The première collection of Alan Kleiman's poetry, featuring many of his most popular works, was published in September 2013 by Crisis Chronicles Press. 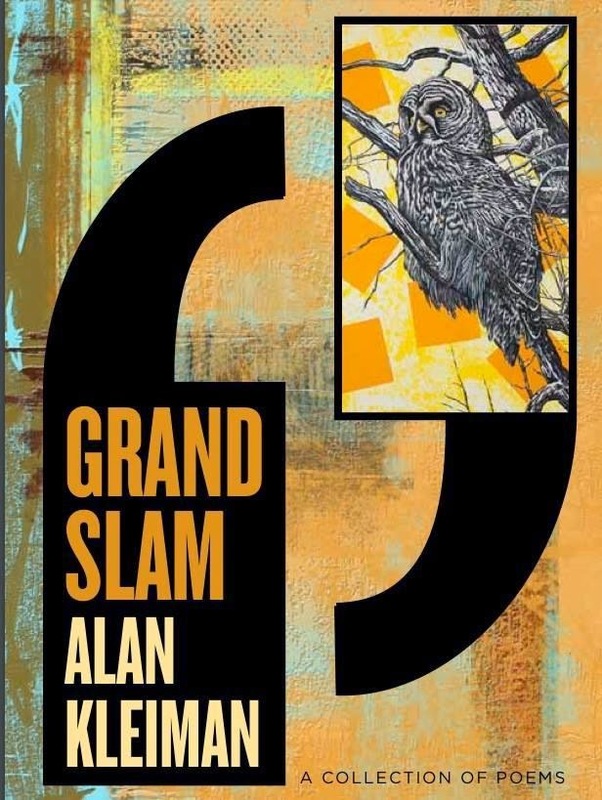 Grand Slam is one of the winners of our September 2011 chapbook contest and we are thrilled to finally have it released. This book is perfect bound, 40 pages, with front cover art by John Newsome and cover/book design by Lisa Hollander. Roughly 300 copies in print. Get this acclaimed book for your very own for only $10 from Crisis Chronicles Press, 3431 George Avenue, Parma, Ohio 44134 USA. Or click below to use PayPal. Click here to read "Dancing with Varese" from Grand Slam in Blue Fifth Review. Click here to read "Centerfold" from Grand Slam in The Camel Saloon. Click here to read "What Tales" from Grand Slam in Words Dance. Click here to read "Tomorrow" from Grand Slam in the Crisis Chronicles cyber litmag. Click here to read Kate Campbell's remarks and "More." 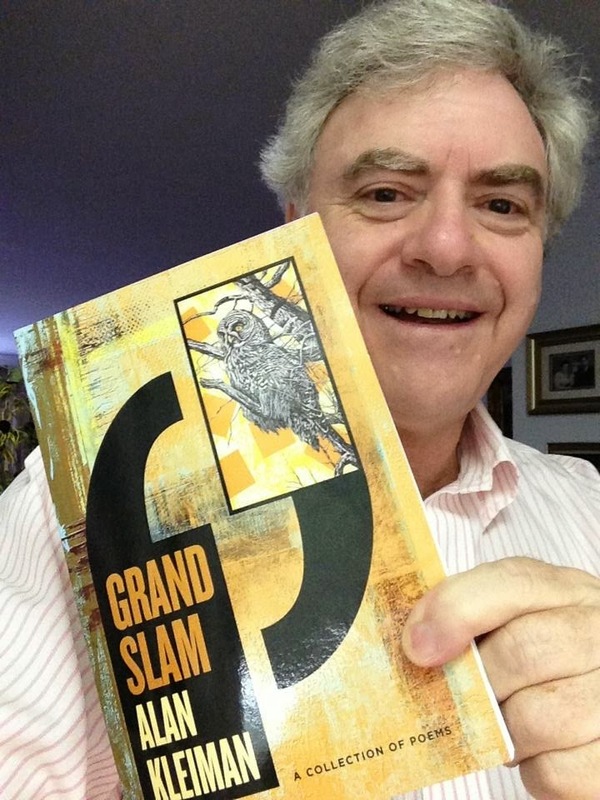 Click here to read reviews of Grand Slam at Amazon. Click here to view ratings of Grand Slam at Goodreads. Alan S. Kleiman’s poetry has appeared in The Criterion, Verse Wisconsin, Right Hand Pointing, Blue Fifth Review, The Bicycle Review, Pyrta, Eskimo Pie, The Montucky Review, Kinship of Rivers, Stone Path Review and other journals. 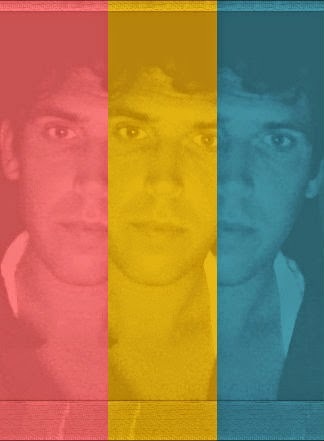 He lives in New York City and works as an attorney. Crisis Chronicles Press is thrilled to announce the publication of a new collection of poems by John Swain on 1 September 2013. Rain and Gravestones perfect bound, 32 pages, and full of the lush, perfectly grounded and yet transcendent depth and breadth of vision and language you've come to expect from Mr. Swain. Roughly 130 copies in print. Rain and Gravestones is available for $7 from Crisis Chronicles Press, 3431 George Avenue, Parma, Ohio 44134 USA. Click here to read Krysia Jopek's review of Rain and Gravestones. Click here to view ratings of Rain and Gravestones at Goodreads. Click here to read "Fire Once Lived" from Rain and Gravestones in Eunoia Review. Click here to read the title poem from Rain and Gravestones in Bigger Stones. Click here to read "Torch" from Rain and Gravestones in PressBoardPress. Click here to read "At the Ceiling" from Rain and Gravestones in the Crisis Chronicles litmag. John Swain lives in Louisville, Kentucky. His previous chapbooks include Prominences and Sinking of the Cloth [Flutter Press], Set Apart Before the World Was Made [Calliope Nerve Media], Burnt Palmistry [Full of Crow], Handing the Cask [erbacce press], Fragments of Calendars [Thunderclap Press], and White Vases [Crisis Chronicles Press]. His newest book, Ring the Sycamore Sky, will be published in 2014 by Red Paint Hill.